Every year for the past 10 years, we’ve worked with the Interfaith Hospitality Network to sponsor dinners and have residents stay with us at Mishkan Shalom, supporting families’ efforts to move out of homelessness. This year, because many of the classrooms which we used to house families now house our renters, we don’t have enough classrooms for families to sleep here. Nonetheless, our commitment to the Interfaith Hospitality Network, and the families they serve, extends beyond the walls of our Mishkan. We have committed to partner with the Seventh Day Adventist Church in East Germantown. They own a small house where the guests can stay (in actual bedrooms!) and Mishkan will provide the dinner cooks/hosts at their location, 200 East Cliveden Street, Philadelphia 19119, not far from Mishkan. Host families can bring whatever food they like, including meat, to this location. We do not need overnight hosts – always the hardest spots to fill. And, finally, at the church, the families are living in a separate home (once the home of the pastor) on the church grounds. This makes it a very comfortable setting for the families. (No need to pack up on Hebrew School nights!) This is a wonderful Tikkun Olam project to do with your child that is easy, involves only a little time and teaches a big lesson about helping other people find their way to a better life. Alexis Lieberman is coordinating our participation in providing meals. To help with much-needed ground floor planning, please contact Nancy Fuchs Kreimer, Tsurah August or Alexis Lieberman. 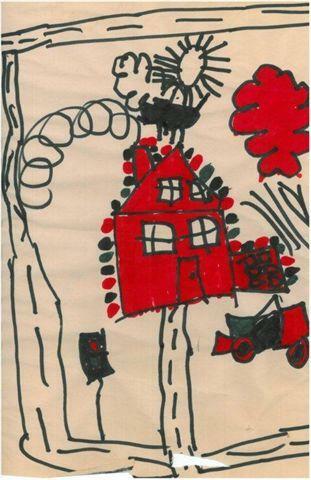 Read families' testimonials, including the story behind this drawing, "Joshua's New House."